The SPORTident system works with a chip that loos like a card. During the race the runners must register their time of pass through the control points with the SPORTident card at the SPORTIdent crono base. It registers the times and codes of cards and bases or stations. The SPORTident stations work autonomously under any weather conditions. Each runner must carry their SportIdent chip. ATTENTION! Check your number (last 3 digits on card). 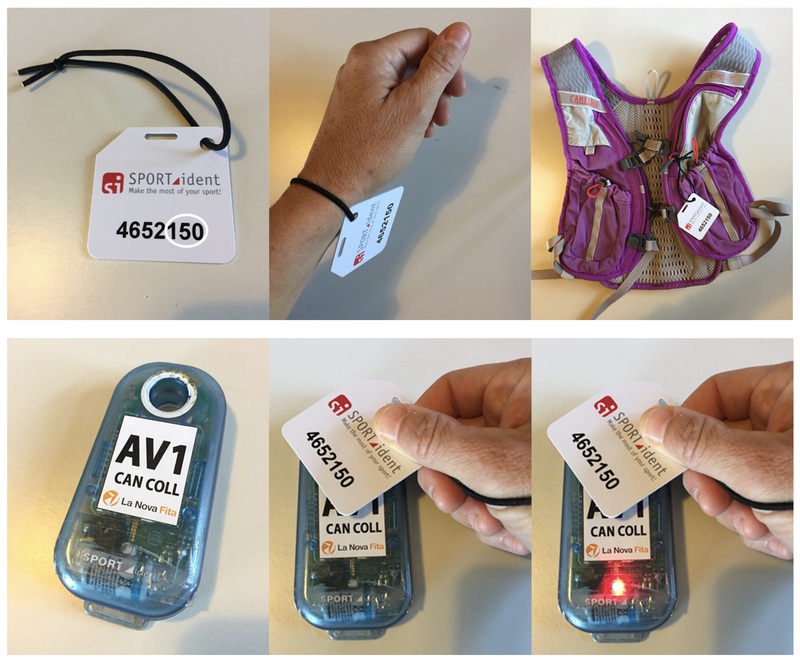 Place the SPORTIdent chip (card) on the wrist or a zipper on the backpack. Do not bend the card. Register your pass through the timing points by touching with your chip (card) the stations. See picture. The stations will make a sound and flash a light to indicate that you have registered correctly.